We’ve all gotten tickets. And we’ve all struggled with whether we should bother fighting them. I’m here to tell you: You can fight the ticket without an attorney if you want to. I’ve written about this before. And yes: I am explaining to you how to do something where it will make less work for attorneys. That’s okay. While I do traffic work for friends and so on, it is not a major portion of my practice. Besides, it’s always more fun to pretend you are an attorney and see if you can go full Al Pacino in traffic court. “You’re out of order! The whole trial is out of order!! !” Judges love that. 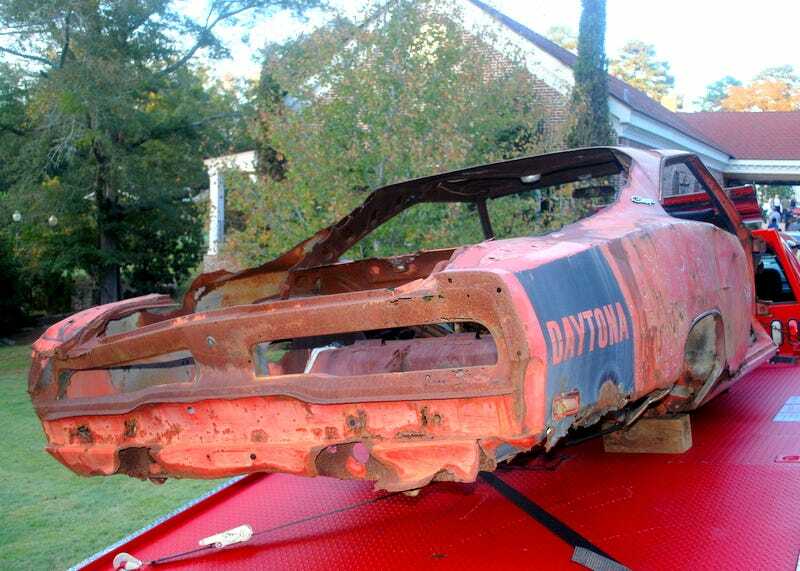 And that pic at the top is the saddest Charger Daytona that ever was. It is an internet star, having been featured in a variety of junkyard photos. Someone yanked it from its scrapyard home and brought it to the Aero Warriors reunion in Alabama last week. I have no idea what they intend to do with it. Sadly, this one is probably too far gone to do anything with (other than to look at it and feel sad).